Sunday saw the annual 200 Club Christmas Lunch, a famously well supported event to launch the festive activities. 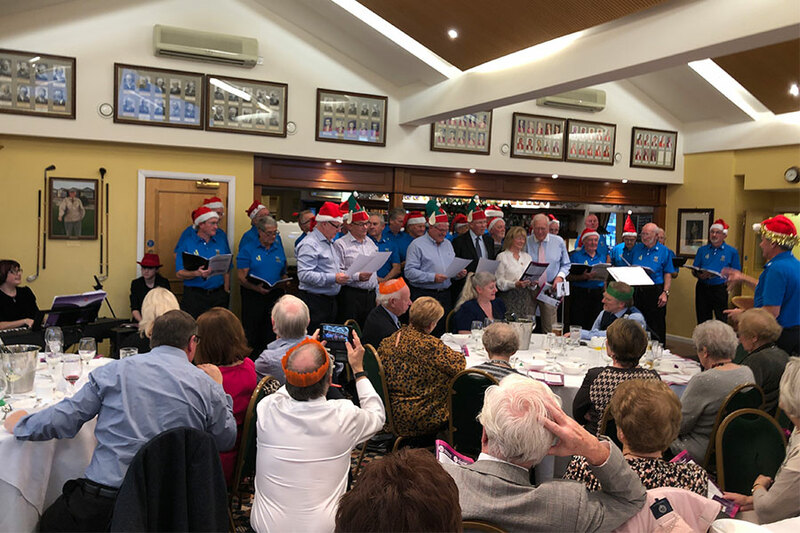 As always, there was a fantastic turnout and those who attended enjoyed a performance from ‘The Bunker Boys’ male voice choir of Heswall Golf Club, who entertained for over an hour, even inviting Captain and Lady Captain to join them in a carol (see video below). As a thank you, Caldy made a donation to their chosen Charity, Claire House. Prizes were also awarded in a draw working down from £500 to £50. Thank you to all who attended a wonderful day at Caldy Golf Club. Christmas Bistro & Prize Draw Seniors Christmas 11 Hole Competition and Lunch.